U.S. 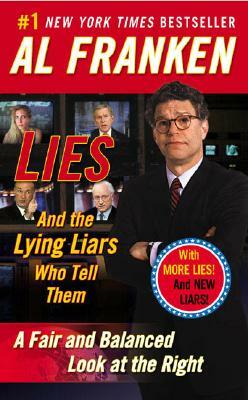 Senator Al Franken grew up in St. Louis Park, Minnesota. Before running for the Senate, Al spent 37 years as an Emmy award-winning comedy writer; author of I'm Good Enough, I'm Smart Enough, and Doggone It, People Like Me!, Rush Limbaugh Is a Big Fat Idiot, Lies (and the Lying Liars Who Tell Them), and Giant of the Senate; and radio talk show host. He has taken part in seven USO tours, visiting our troops overseas in Germany, Bosnia, Kosovo, Uzbekistan, Iraq, Afghanistan, and Kuwait. First elected to the Senate in 2008, and re-elected in 2014, he currently sits on the Health, Education, Labor, and Pensions (HELP) Committee; the Judiciary Committee; the Energy and Natural Resources Committee, and the Committee on Indian Affairs. He has been married to his wife, Franni, for 40 years. Praise for Oh, the Things I Know!